The Continental Divide Trail passes right through the Monarch Mountain Ski Area. 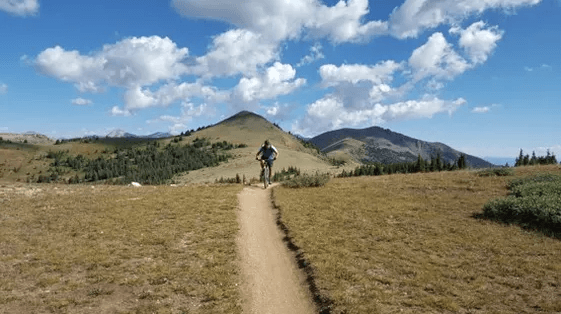 The Colorado Trail that goes from Denver to Durango has two options near the Sawatch Range and one of them shares the CDT along the divide. It enters near the ski area from the north near the top of the Breezeway Lift, joins our summer road along the Divide going up and over the Panorama ridge, before dropping down underneath the Pioneer Lift and exiting our boundary near the summit of Old Monarch Pass. From here it heads across the backcountry ski zones of Pass Bowl and Snowstake Bowl. 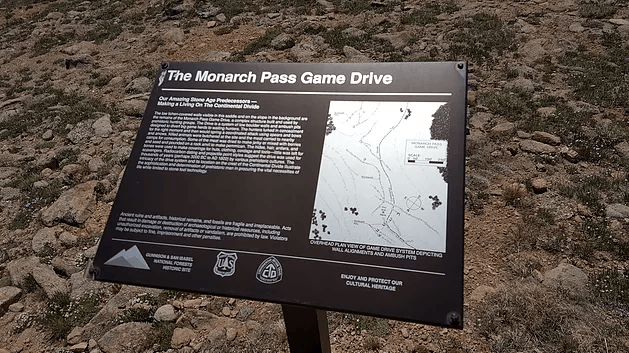 Finally, it dumps onto US Highway 50 just west of the summit of Monarch Pass. After crossing the highway and continuing south on the trail, it becomes known as the infamous Crest Trail, one of the best mountain bike trails in the country. 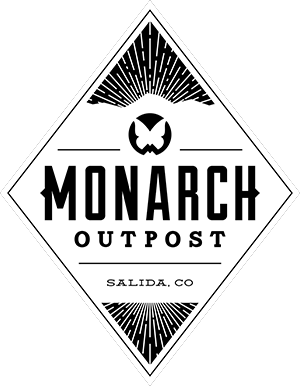 The CDT also sees through hikers passing by Monarch every summer. Many of these people are hiking the entire 3100 miles of the CDT from Crazy Cook in NM to Glacier NP in Montana! Just to the north of the ski area and located within our cat skiing permitted area are the Native American Game Drive sites. These sites are primitive hunting sites where rocks were piled high enough for early hunters to hide while other members of the hunting tribe steered the animals to this high altitude ambush.